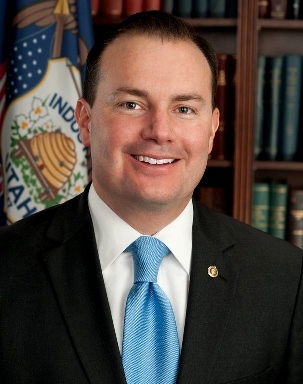 In remarks on the Senate Floor on Thursday, Senator Mike Lee of Utah called out the Senate Democrats for blocking the funding of the Department of Homeland Security in an effort to force Obama's unconstitutional executive amnesty on the American people. Lee's remarks (presented below in their entirety) provide a sharp contrast to the position of the Senate's establishment Republican leaders who seem frozen and unable to plot a path forward in the face of united Democrat support for amnesty and Republican Senator Dean Heller's (R-NV) bizarre refusal to join his Republican colleagues in blocking Obama's unconstitutional actions. We urge you to read Lee's remarks and then call your Senators, be they Republican or Democratic, and demand that they stop Obama's unconstitutional attempt to grant amnesty to millions of illegal aliens by passing the House Department of Homeland Security appropriations bill. Mr. President, Republicans are ready to begin debating the DHS Funding Bill. But in order to do that, we must vote to proceed to the bill, and Democrats have blocked us from doing that. This is simply a procedural vote. It doesn’t mean you support or oppose the bill; it doesn’t mean you support this or that amendment; it simply means you are willing to engage in an open, transparent, and public debate about the future of Homeland Security. Now why would our friends across the aisle be afraid of that? They’ll tell you that this is about who truly supports funding Homeland Security, but that’s not true and they know it. As many of my colleagues have shown over the past three days, our bill funds Homeland Security. The difference is that the Democrats also support the president’s incredibly unpopular and controversial action to grant amnesty to 5 million individuals here illegally who will now be eligible for work permits and entitlement benefits. But the American people don’t support that. They oppose the way President Obama went around Congress. They oppose the damage this policy will do to American workers. And they oppose the crisis it is creating at our border – as we saw last summer with so many children making that dangerous trip to get to this country. And now that the American people have put Republicans in charge, we are trying to keep our promise to them, do what they sent us here to do, and hold a vote on the President’s action. But the Democrats are afraid of taking that vote. That’s why they refuse to even begin consideration of the bill – plain and simple. This effort to try and hide from the American people is embarrassing. Democrats say they have an alternative bill and that we should pass it immediately. There are two problems with that approach. First – That may have been the way the Senate worked under the previous majority – writing bills in back rooms, waiting until the last minute to make them public, filling the tree, no amendments, no debate, and ramming the bill through without any input from the American people. But that’s is not the way the Senate is supposed to work, and it’s not the way the Senate will work in a Republican majority. And unfortunately for them, the bill the Democrats want is not supported in the House because it’s not supported by the American people. Mr. President, It’s time to stop delaying democracy; it’s time to stop hiding from the American people. Let’s have a vote. Then let’s have a debate. Click this link to watch Senator Lee in action on the Floor, its even better when he delivers it in person.